Jesus Christ invites us to take the covenant path back home to our Heavenly Parents and be with those we love. My beloved brothers and sisters, my wife Wendy and I rejoice in being with you on this Sabbath morning. 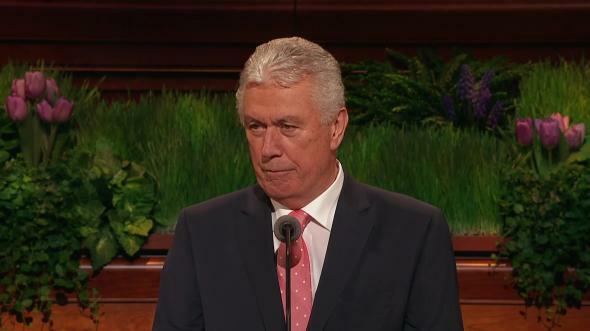 Much has happened since our last general conference. 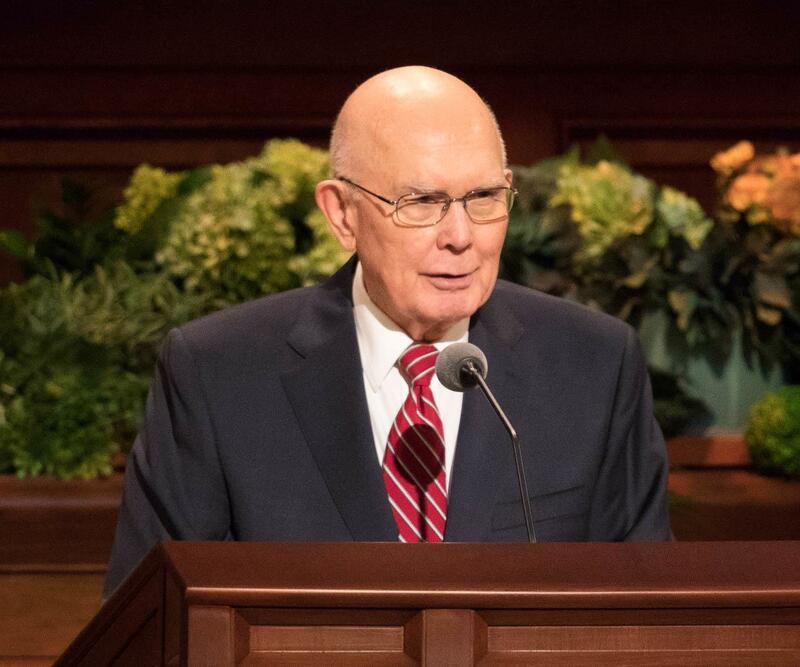 New temples have been dedicated in Concepción, Chile; Barranquilla, Colombia; and Rome, Italy. We experienced a rich outpouring of the Spirit at these sacred events. 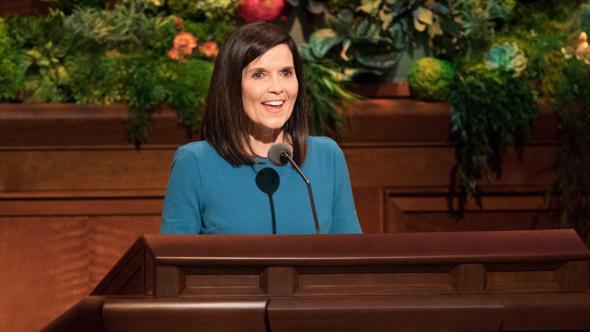 I congratulate the many women (and men) who have recently read the Book of Mormon and discovered joy and hidden treasures. I am inspired by reports about miracles received. I marvel at 11-year-old young men who, now as deacons, worthily pass the sacrament each Sunday. They go to the temple along with our 11-year-old young women, who are now eagerly learning and serving as Beehives. Both young men and young women are preaching gospel truths with clarity and conviction. 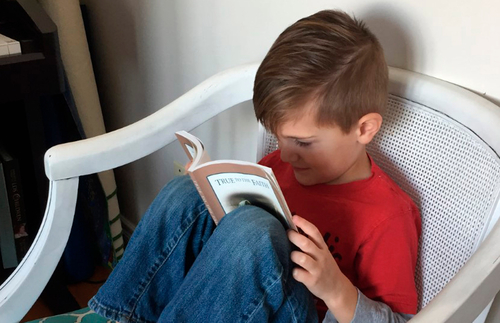 I rejoice with children and youth who are helping to teach the gospel in their homes as they work with their parents to follow the home-centered, Church-supported curriculum. Blake, we are thrilled with you and others who are choosing to feed their spirits by feasting on the truths of the restored gospel of Jesus Christ. And we delight in knowing that many are receiving the power of God in their lives as they worship and serve in the temple. Actually, my wife and I visited Paradise earlier this year—Paradise, California, that is. As it happened, our scheduled visit there came less than 40 hours after our daughter departed from this world. We, along with Elder Kevin W. Pearson and his wife, June, were bolstered by the Saints of the Chico California Stake. 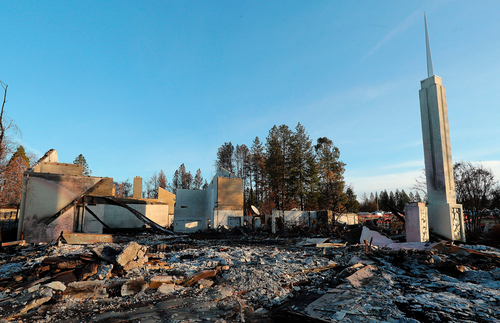 We learned of their great faith, their ministering, and the miracles that occurred even amidst their devastating losses from the most destructive wildfire in the history of California. While there, we spoke at length with a young police officer, John, who was one of many brave first responders. He recalled the thick darkness that descended upon Paradise on November 8, 2018, as flames and embers raced through the town, devouring property and possessions like a scourge and leaving nothing but piles of ash and stark brick chimneys. For 15 hours, John drove through an impenetrable darkness that was streaked with javelins of threatening embers as he helped person after person, family after family escape to safety—all at the peril of his own life. Yet during that strenuous ordeal, what terrified John most was his all-consuming question: “Where is my family?” After many long, terrifying hours of anguish, he finally learned of their safe evacuation. Jesus Christ teaches the way back to our eternal home. He understands our Heavenly Father’s plan of eternal progression better than any of us. After all, He is the keystone of it all. He is our Redeemer, our Healer, and our Savior. The spirit in each of us naturally yearns for family love to last forever. Love songs perpetuate a false hope that love is all you need if you want to be together forever. And some erroneously believe that the Resurrection of Jesus Christ provides a promise that all people will be with their loved ones after death. 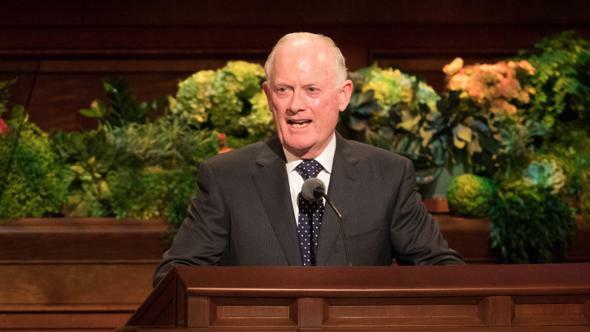 In truth, the Savior Himself has made it abundantly clear that while His Resurrection assures that every person who ever lived will indeed be resurrected and live forever,3 much more is required if we want to have the high privilege of exaltation. Salvation is an individual matter, but exaltation is a family matter. So, what is required for a family to be exalted forever? We qualify for that privilege by making covenants with God, keeping those covenants, and receiving essential ordinances. This has been true since the beginning of time. Adam and Eve, Noah and his wife, Abraham and Sarah, Lehi and Sariah, and all other devoted disciples of Jesus Christ—since the world was created—have made the same covenants with God. 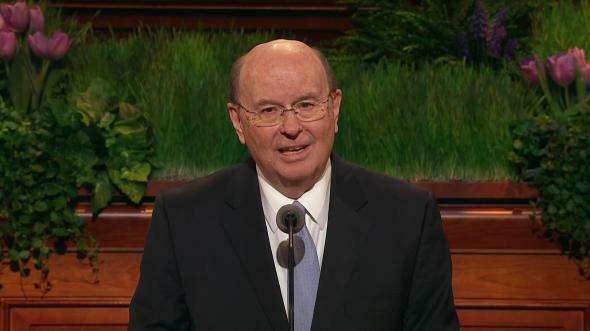 They have received the same ordinances that we as members of the Lord’s restored Church today have made: those covenants that we receive at baptism and in the temple. 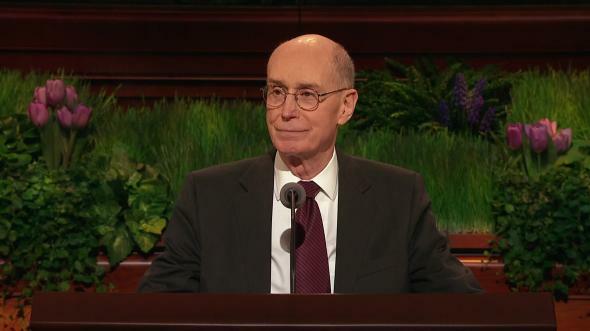 The Savior invites all to follow Him into the waters of baptism and, in time, to make additional covenants with God in the temple and receive and be faithful to those further essential ordinances. All these are required if we want to be exalted with our families and with God forever. They need to understand that while there is a place for them hereafter—with wonderful men and women who also chose not to make covenants with God—that is not the place where families will be reunited and be given the privilege to live and progress forever. 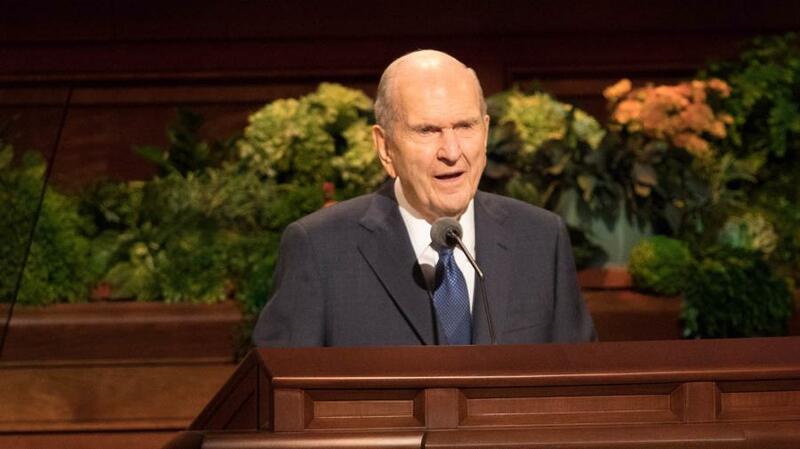 That is not the kingdom where they will experience the fulness of joy—of never-ending progression and happiness.9 Those consummate blessings can come only by living in an exalted celestial realm with God, our Eternal Father; His Son, Jesus Christ; and our wonderful, worthy, and qualified family members. “In this life, you have never settled for second best in anything. Yet, as you resist fully embracing the restored gospel of Jesus Christ, you are choosing to settle for second best. “Pour out your heart to God. Ask Him if these things are true. Make time to study His words. Really study! 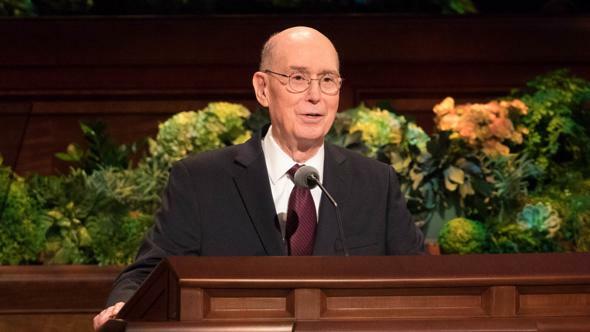 If you truly love your family and if you desire to be exalted with them throughout eternity, pay the price now—through serious study and fervent prayer—to know these eternal truths and then to abide by them. One such dear friend of mine had limited experiences with God. But he longed to be with his departed wife. So he asked me to help him. 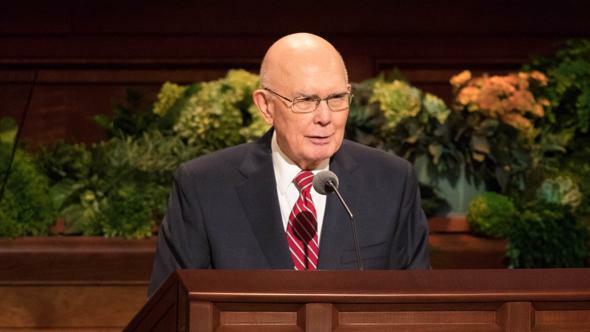 I encouraged him to meet with our missionaries in order to understand the doctrine of Christ and learn of gospel covenants, ordinances, and blessings. Thankfully, I am not this man’s judge. 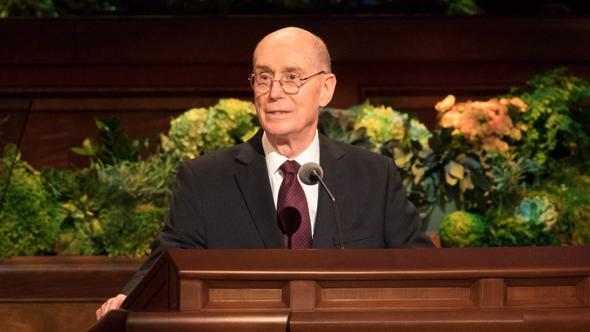 But I do question the efficacy of proxy temple work for a man who had the opportunity to be baptized in this life—to be ordained to the priesthood and receive temple blessings while here in mortality—but who made the conscious decision to reject that course. 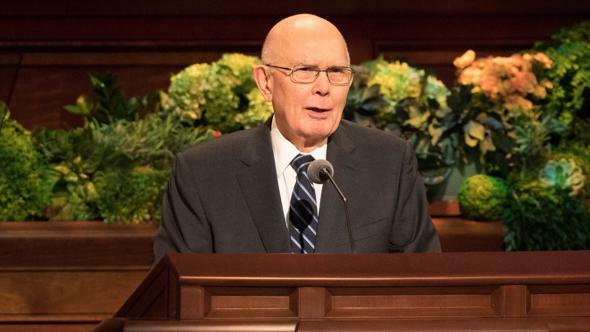 Now, as President of His Church, I plead with you who have distanced yourselves from the Church and with you who have not yet really sought to know that the Savior’s Church has been restored. Do the spiritual work to find out for yourselves, and please do it now. Time is running out. I testify that God lives! Jesus is the Christ. His Church and the fulness of His gospel have been restored to bless our lives with joy, here and hereafter. I so testify in the name of Jesus Christ, amen. See Jeremiah 27:5; Matthew 23:37; Luke 13:34; Alma 5:33; 3 Nephi 9:14. 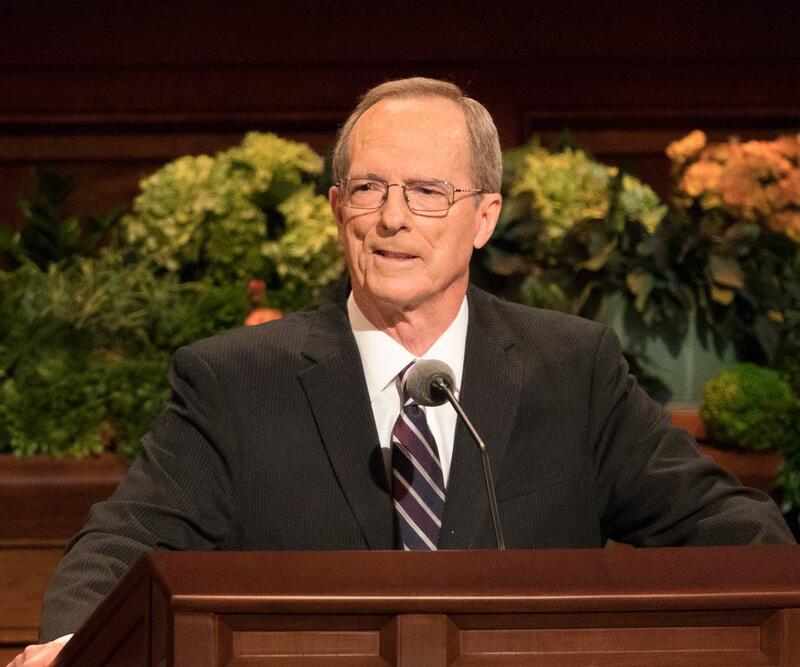 The Resurrection will come to all because of Christ’s victory over death (see Alma 11:41–45; 40; Doctrine and Covenants 76; Moses 7:62). See John 11:35; Moses 7:28–29. See Doctrine and Covenants 76:50–70. See Mosiah 2:41; Alma 28:12.